Perfect family set up! 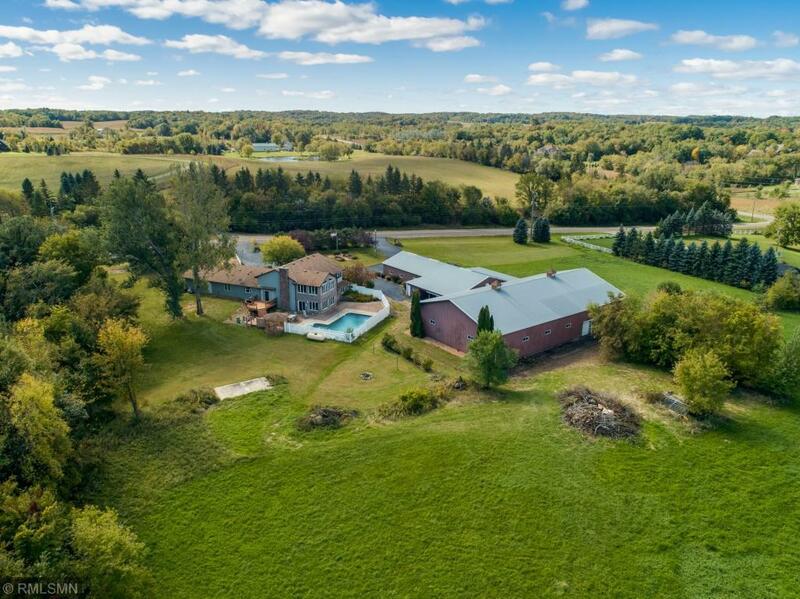 39.5 beautiful rolling acreage. Wonderful horse/animal/hobby farm with stable, indoor riding arena and large brick/cedar home with wrap around porch and lots of amenities. Entertainment space with hot tub, sauna and shower opens up to large patio with heated in-ground pool (36âx18â 4 Â½â deep). Updated Kitchen, bathrooms, and flooring. Truly a MUST SEE!